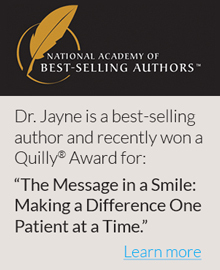 Dr. Jayne treats patients of all ages. Our comprehensive dental practice provides all the services that you and your family need to maintain optimum dental health. We want patients of all ages to feel comfortable and well cared for while receiving treatment. Dr. Jayne and her staff make a special effort to ensure that children are at ease during their visits. We understand that a positive experience is the key to lifelong oral health. We begin seeing your children at about age two. Dr. Jayne encourages parents to bring their children to a visit with them. This helps the little ones become accustomed to being in a dental office and eases any anxiety they may have. 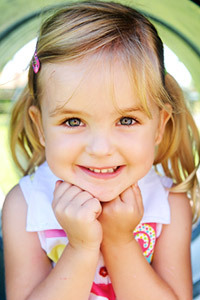 We understand how important it is to instill good dental routines at an early age. We can begin seeing children when they are two years old. During your child’s first visit, Dr. Jayne and her friendly staff simply welcome the youngster and give tours and a prize. They want to gain your child’s trust before they begin any treatment. Cavities can begin to form around age two or three. Dr. Jayne will thoroughly examine your child’s teeth and gums for any signs of decay or disease and she can begin with digital X-rays. Our friendly, patient hygienists explain proper brushing techniques to our patients. Our skilled hygienists love working with children and take extra care while giving them gentle cleanings. They will also polish your child’s teeth and give them a fluoride treatment. We take the time to educate our young patients about dental health by using models to demonstrate techniques for brushing and flossing. Dr. Jayne will also talk with parents about the benefits of using fluoride to help strengthen developing teeth and fight tooth decay. Dr. Jayne uses a model to explain how sealants work. A plastic sealant is applied to the surface of the child’s tooth to prevent cavities from developing. With proper care, they will last for many years. Dr. Jayne brushes the resin onto the teeth, especially the back, chewing teeth, where decay occurs most often. The resin bonds into the depressions and grooves and hardens, creating a barrier to protect the enamel from acid and plaque. When children have a large cavity, it may be necessary to cap the tooth to keep it from fracturing. Dr. Jayne has 30 years of experience placing dental crowns, and knows how to keep children comfortable during this procedure. She makes sure that their gums are completely numbed prior to gently injecting anesthetic. Crowns fabricated with porcelain fused to metal are extremely durable, making them an appropriate choice for children. 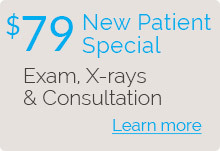 To make an appointment, call 669-201-0334 or click here to request an appointment online.